In May 1989, WH Allen published Quiller KGB, the thirteenth in a series of spy thrillers by Adam Hall, a pseudonym for the British writer Elleston Trevor. The novel was Hall’s swan-song for the Cold War, with the bulk of it set in November 1989. British agent Quiller foils a plot by Soviet hardliners to assassinate Mikhail Gorbachev on an official visit to Erich Honecker in East Berlin. They don’t plan to carry out the assassination themselves, but have farmed out the job to a Brit. Completed in 1988, the novel successfully predicted Gorbachev’s visit to East Berlin the next year. There were, however, never any claims of an assassination attempt taking place during the real visit. In September, Hodder & Stoughton published Pilgrim Spy. This claims to be a memoir by ‘Tom Shore’, the pseudonym for a former SAS operative. ‘Shore’ relates how he undertook a series of incredible missions during the Cold War including, pivotally and most spectacularly, that he foiled a plot by Soviet hardliners in October 1989 to assassinate Mikhail Gorbachev when he visited Erich Honecker in East Berlin. Hodder have marketed Pilgrim Spy as ‘one of the great untold stories of the twentieth century’, but if anything that’s underselling it. In real life, British operatives rarely carry out solo missions, let alone get involved in gunfights with terrorists while saving world leaders from assassination. Add in that the gunfight in question apparently took place in Colditz Castle and that throughout his operation ‘Shore’ repeatedly encountered a young KGB major called Vladimir Putin, who he suspects of being involved in the assassination plot, and it becomes even more remarkable. This extraordinary operation has never been so much as hinted at in any previously published accounts, and its daring and scale go far beyond any other operation we know about during the Cold War. Without the actions of ‘Tom Shore’, Germany would likely not have been reunited at that time, or perhaps ever. Such an operation would clearly be Western intelligence’s greatest coup of the 20th century, greater than the running of Oleg Penkovsky or Oleg Gordievsky, and ‘Shore’ deserves all our thanks, and several medals. The book was initially treated as news by both the Sunday Times and The Guardian, perhaps unsurprisingly: Hodder is a highly respected publisher, and it’s very rare for an entirely unknown episode of Cold War history to be revealed; even rarer for it to feature British intelligence; almost unheard of for it to be involved in a spectacular, history-altering operation. It might seem bizarre that the operation has gone completely unknown of for so long, but ‘Shore’ had a ready explanation for this: the only other people who could confirm any of the events he relates are the dead members of the Red Army Faction, his dead SAS commander, and the MI6 officer, ‘Mark Scott’, who sent him on the operation unbeknown to anyone else and who then vanished without a trace. No, me neither. Outside of spy fiction, anyway, where, as he notes, the agent discovering he’s been used as a pawn by someone on his own side is indeed a cliché. ‘Shore’ says that unless he happens to bump into ‘Scott’ again – ‘which wouldn’t end well’ – he will likely never know what the man’s true motives had been. But strangely, he doesn’t call on the security services to open an investigation into this criminal within their ranks. Forgetful, perhaps. Of course, the publication of Pilgrim Spy presents an even more puzzling mystery: how on earth did Adam Hall know about ‘Tom Shore’s mission over a year before it happened? Like Hall’s hero Quiller, ‘Shore’ is shot at, chased down, and has a liaison with an East German woman intent on overthrowing the Soviet system, before saving the free world virtually single-handedly. ‘Shore’ doesn’t hang off a window ledge as Quiller does, but even more impressively recounts a pursuit across a rooftop which he escapes by jumping between buildings. The chapter ends in media res with him on the verge of doing so – incidentally, a trademark of the Quiller series. It’s also extremely striking that these plots to assassinate the same leader, in the same place, at the same time, masterminded by the same group of people, both happen to be foiled by British agents; on the face of it both the visit and the idea of an assassination plot during it are Soviet-East German affairs, with little ostensible reason for the UK to be involved. Both books give pretty tortuous motivations for British intelligence to insert itself into the events. This is a familiar suspension of disbelief in British spy fiction, of course: as with the Bond films, Adam Hall constantly had to figure out reasons for the UK to play the lead role in averting disasters around the globe. In the real world, though, British agents only very occasionally save the world, and when they have done it tends not to have involved rooftop chases and gunfights. In Pilgrim Spy, we’re told that MI6 only received a hint of the assassination plot nine weeks prior to it taking place, and ‘Shore’ only figured out who the target was days in advance. So was British spy novelist Adam Hall a psychic with access to future plans for intelligence operations? Wikipedia’s Stasi entry also mentions Dynamo Dresden, Vladimir Putin’s time with the KGB in Dresden, and the agency’s military training with the Red Army Faction – all of which feature in Pilgrim Spy. ‘The group is often talked about in terms of generations. An enormous amount of the book’s material is lifted from Wikipedia in this way. ‘Shore’ tells us that in intelligence circles ‘agents under Non-Official Cover (NOC) are operatives who assume covert roles in organisations without any official ties to the government for which they work’. That, too, is virtually word-for-word the same as the opening of the Wikipedia entry on the topic. The hardback sells for just under £14, but Wikipedia, of course, can be read for free. And ‘Shore’ doesn’t only plagiarise from Wikipedia. The biography of his SAS commander is taken directly from The Independent’s obituary of the man he is based on, Andy Massey, and to whom the book is brazenly dedicated. It’s almost as though this former SAS operative knows virtually nothing about espionage or the Cold War himself. The dedication to Massey has proven the book’s undoing with veterans of the SAS, a group of whom were so outraged by what they felt was comparable to ‘stolen valour’ that they complained to Hodder, who have apparently now removed the dedication as a result. SAS and BRIXMIS veterans also pointed out several other discrepancies with the book’s claims, such as gunfights happening at Colditz with none of them ever hearing of it despite being on good relations with the staff there at the time. A former commander of the SAS also believes the book’s claims to be ‘utter rubbish’. Pilgrim Spy isn’t the first special forces memoir to be greeted with such scepticism, and it won’t be the last. This field is open to abuse: it’s hard to disprove a tale of a top-secret operation told by an author whose name is itself withheld. When questioned by The Independent, Hodder admitted that the book contains plagiarism but downplayed this as ‘sloppy but not criminal’ and insisted that there were only three sentences taken from Wikipedia. 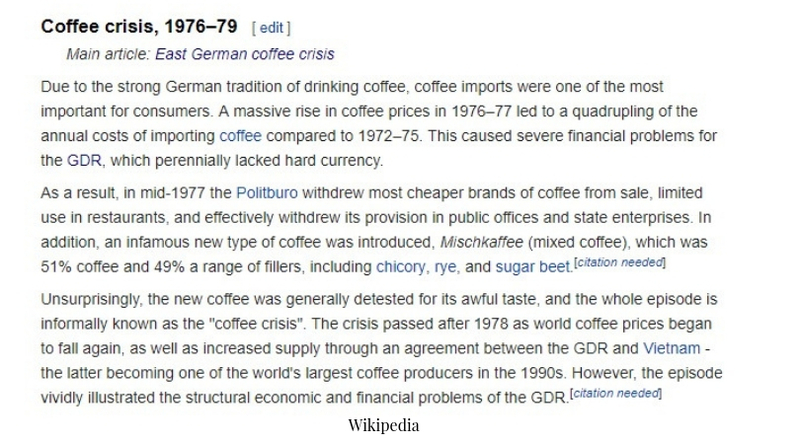 The Independent’s article already listed several more than that, as have I above, and one passage on coffee plagiarises seven sentences in a row from Wikipedia. ‘Sloppy but not criminal’ is a shocking response from a serious publisher to such an allegation – not long ago they would have investigated this properly and withdrawn the book as a result. So… how was he at university in the 60s and 70s if he joined the army just after he turned 18 in 1970? When I asked Pilgrim Spy’s editor about this eye-popping discrepancy, he claimed that The Colditz Counundrum ‘with accompanying biography was a dummy title substituted for the real book on the day of publication’. Strange: publishers usually trumpet their ground-breaking books well in advance to try to drum up publicity, rather than giving them detailed synopses for totally different non-existent books, complete with contradictory biographies for the author. Why the subterfuge, especially for a pseudonymous author? What would Hodder have done if a journalist had approached them wanting to write an article about the promised revelations in The Colditz Conundrum? It seems like an unusual PR strategy, let’s say. Quite how that applies to Putin and Gorbachev, and whether it was inserted by a sceptical Hodder employee to cover their backsides, isn’t clear – but as Hodder have stated in print that it’s fictitious, even while insisting it isn’t everywhere else, they can’t very well sue the book’s critics for stating the same. A few years ago, Pilgrim Spy would likely have been more of a scandal: the plagiarism is so blatant, the original writing is so poor, and the supposed events are so transparently ludicrous. A Million Little Pieces, Surviving With Wolves and other fake memoirs have been the subject of enormous interest, and this is probably the most blatant case of it I’ve seen. However, Hodder’s response in the face of the obvious has simply been to double down, Trump-style, and insist they believe ‘Shore’s preposterous story, while shrugging off the kind of plagiarism that would see a student thrown out of university. The book remains on sale, and little looks to be able change that. It feels like it was an attempt to emulate Soldier Spy, the memoir of pseudonymous ex-MI5 officer ‘Tom Marcus’, which was a bestseller in 2016 and also garnered national newspaper coverage while having its share of doubters. The consequences for failing to replicate that success with a rubbish spy novel masquerading as a sensational memoir are close to nil, both for the author and publisher. Hodder are large enough for their reputation to take this hit – they publish hundreds of books a year, and this is already water under the bridge. The book might not sell as well as they’d hoped, but they will probably still feel it was worth taking a chance on. It’s a shame: it’s a brilliant publisher with a storied history, and this isn’t worthy of going out under their banner. As a longtime fan of Adam Hall, ‘Tom Shore’ ripping off one of my favourite spy novelists’ books has its funny side. But as someone who also studies Cold War espionage, it feels like a dispiriting defeat: fake history in a time of fake news. The lack of fuss or consequence is partly because chicanery is no longer remarkable in public discourse. Information about espionage has also become so much of a part of our culture that even the most outlandish ideas can seem plausible, because we’re used to seeing them: jumping across buildings is so familiar from spy films that we don’t stop to think how unlikely that is to happen in real life. Recent years have also seen an inflation in conspiracy theorism, and the line between a genuine expert and someone who has watched a lot of YouTube videos or read a few Wikipedia entries has become eroded. Today, we know more – or think we know more – about the inside workings of the intelligence world thanks to the likes of Wikileaks and Edward Snowden. A few years ago, both appeared to promise a brave new era in which the shadowy actions of those in power would be held more accountable. In reality, this has mostly been confined to the West. Wikileaks has itself become a power whose actions are often obscure, while Snowden’s focus on surveillance by the United States’ spy agencies has almost totally overlooked the actions of the likes of Russia, who have ramped up their use of disinformation and meddling in US politics. Vladimir Putin’s operatives have committed murder on the streets of Britain, and when exposed claimed to be clueless tourists to troll the British authorities and public – this has received scant condemnation from Wikileaks’ and Snowden’s supporters, and in some cases outright denial. But while the truth doesn’t matter to Russia, it should to us. In his book, ‘Tom Shore’ speculates that a young Putin was involved in a plot to assassinate Mikhail Gorbachev, but one doesn’t need to invent fables about his past to understand his motives or figure out how to tackle his actions. You can’t learn from history if you lie about it, and in muddying the waters between fact and fiction publishers aren’t simply being unprofessional, but playing a dangerous game at a time when clarity and trust are increasingly valuable. It’s already hard enough to figure out what happened during this period. With propaganda, disinformation and even assassination being used to undermine democracies by numerous states, publishers backing simplistic, self-glorying falsifications risk distorting understanding of the intelligence world and the lessons we can learn from the real Cold War.